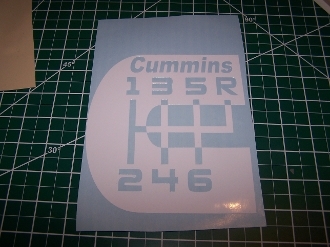 CUMMINS LOGO 6 SPEED WITH TEXT VINYL DECAL CHOOSE COLOR. IT CAN BE APPLIED TO ANY SMOOTH SURFACE. THE SIZE YOU CHOOSE IS HOW TALL THE DECAL WILL BE.